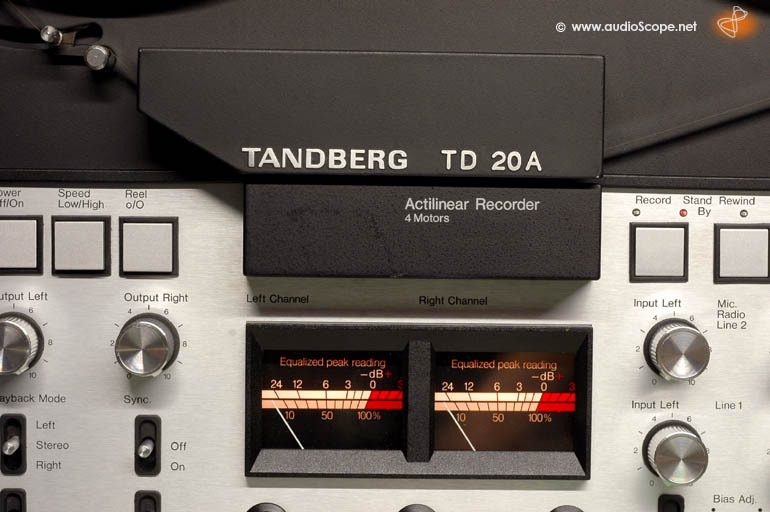 Tandberg TD-20A 4 Track for sale. 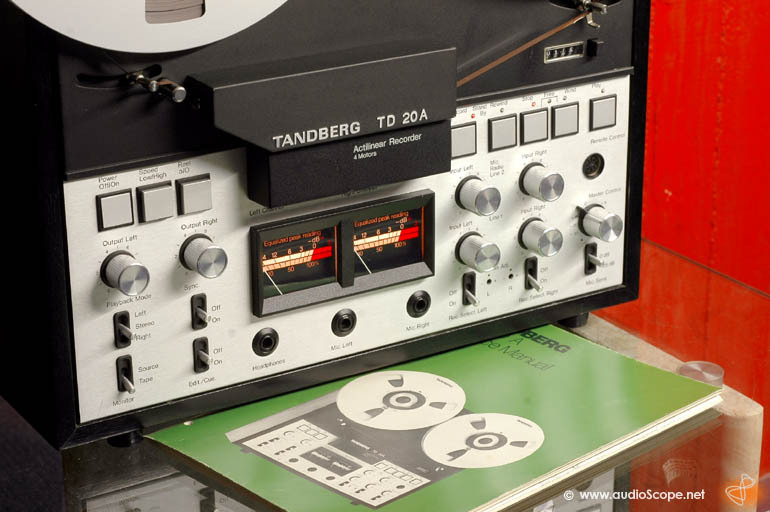 The TD-20A 4 track high speed is Tandberg best sounding reel to reel with plenty of Norge technical finesse. 2 speed 9,5 and 19 cm/sec. / 3.75 and 7.5 inch/sec. 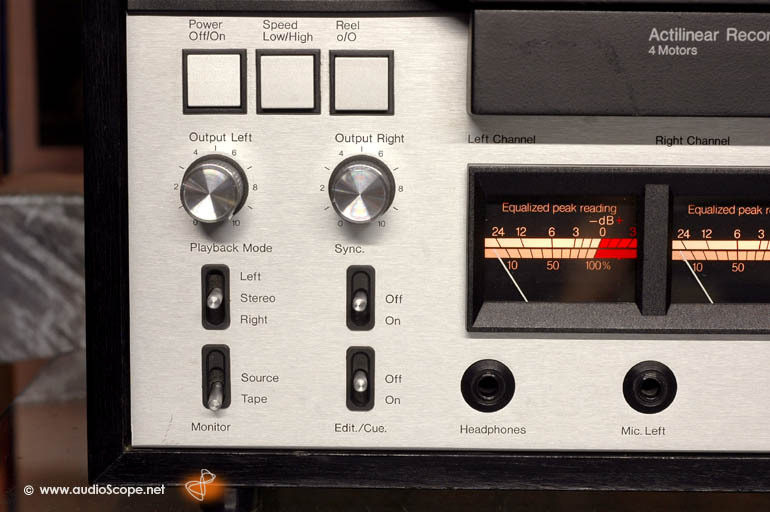 Variable and separated bias for the left and right channel, extremly linear frequency response even at high output levels. The optical condition is near mint. You will find marginal wear on the wood case if you take a very close look and a little scratch in the lower left corner as visible on the pictures. Good as new. 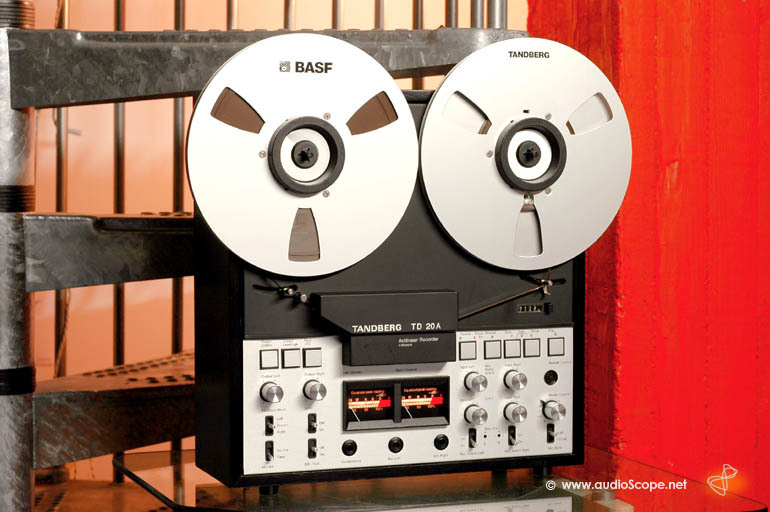 Technically, this unit has been revised, cleaned and aligned to the original specs. It works perfect. 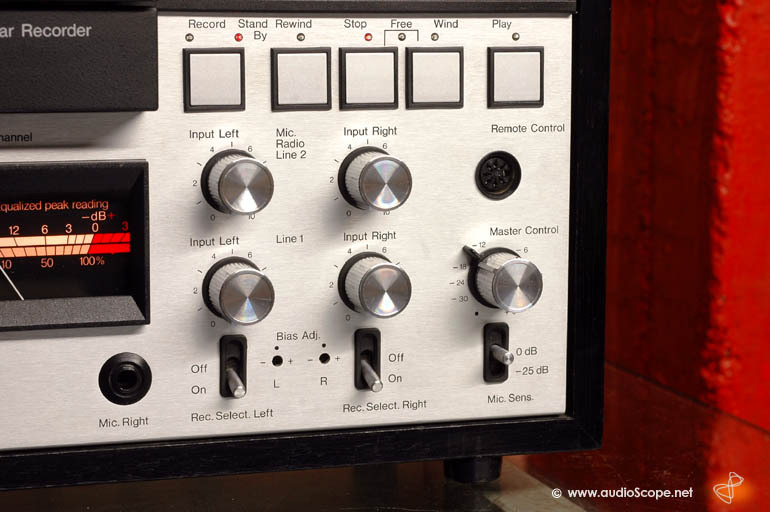 This TD-20A comes from non smoking owners. 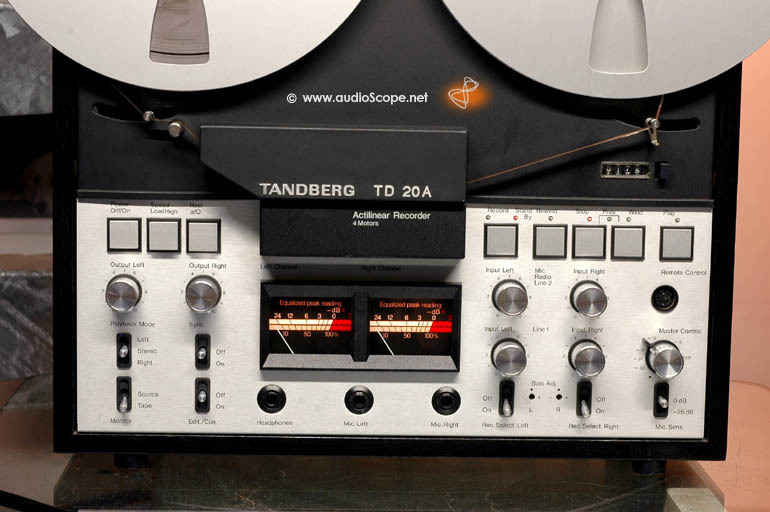 The original NAB HUBS, the original Tandberg TAKE UP REEL and the owners manual are included.